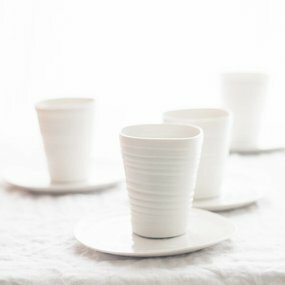 Ceramist Anja Meeusen runs her own studio near Antwerp, Belgium, since 1998. 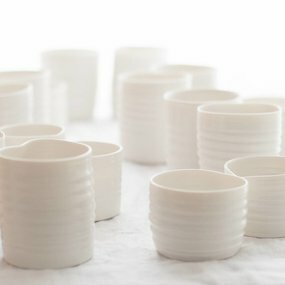 From white clay she makes the most beautiful porcelain tableware, every object turned by hand. 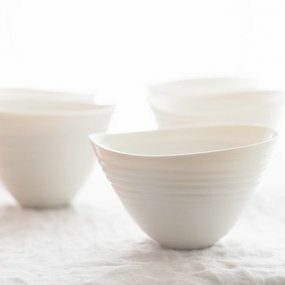 Anja has won a good number of commissions for fine restaurants, creating and producing plates, bowls and cups. And as if she is not busy enough, she organises pottery classes at regular intervals.